Ask any self-respecting pre-schooler what they like most and chances are animals will feature fairly highly on their list. As tiny tots many children seem wholly engaged with nature – whether that be stirring up mud with sticks, splashing in puddles or pointing out bugs. It’s great to capitalise on this enthusiasm for the outdoors before schedules, school and life in general inevitably creep in. Getting back to nature and away from the distractions of everyday life is also a fantastic basis for family holidays in those early years. Over the last few years my husband and I have increasingly sought out wildlife encounters around the UK to share with our now 2 and 4 year old girls. We’ve found that there are some pretty special experiences to be had on our beautiful island. What’s more, far from these nature encounters being solely for the experienced and endlessly patient adult nature enthusiast, there are plenty of wildlife experiences that are both easily accessible and truly magical for even the youngest of children. Here are some of our favourite UK holiday destinations so far for young families looking to get closer to nature. As well as some wonderful wildlife experiences, these places also have heaps of other activities on offer for young families and accessible, beautiful landscapes that all the family will enjoy. Pembrokeshire is a paradise for young families. There are countless beaches to choose from, rewarding yet gentle hiking opportunities, buckets of castles and ruins for kids to scamper about in and heaps of wildlife spotting opportunities. From seals and their pups to whale and dolphin watching trips – Pembrokeshire has a lot on offer for nature-curious kids. Between late March/April and August (perfectly timed for school holidays) is one of the area’s wildlife highlights – the puffins return to Skomer Island just off the Pembrokeshire coastline. These comic little birds are seemingly un-phased by the close proximity of the island’s visitors, running literally inches in front of you with their hauls of fish to cuttle back down to their burrow nests. Whilst the walking involved on Skomer means a visit there is best suited to school age children, the puffins themselves are pre-schooler gold. We took my daughters at 2 ½ years and 5 months. Our youngest spent most of the time snoozing in her carrier but our eldest, now 4, still remembers the puffins fondly and often asks to go back. Norfolk has long since gained a reputation as the birding capital of the UK. It is a favourite filming location of the popular BBC Springwatch series and offers up child-friendly nature attractions and opportunities by the bucketful. Once again it is a fantastic outdoor playground for pre-schoolers, with plenty of coastline, traditional seaside towns, gentle footpaths and impressive transport connections. There is plenty in the way of more traditional entertainment for kids too and some fantastic National Trust properties to visit with their woodland adventure trails and kid-friendly activities. The highlight in Norfolk for young children has to be a visit to the seals. Common seals have their pups between June and August – perfect for summer holiday visits. The larger grey seals come ashore to have their young between November and January, providing some impressive wildlife watching during the winter months. Seal watching boat trips run from Blakeney Point – site of one of the largest seal colonies in Britain. Alternatively, for a land-based option suitable for even the youngest of nature explorers, you can head to Horsey where a short walk along the back of the dunes in winter will reward visitors with up-close views of the grey seals and their pups on the beach just below. When we visited in early December there were already nearly 600 pups there! Our daughters were utterly enchanted. The Cotswolds may not be the most obvious choice of destination for a family seeking nature experiences but it’s worth consideration, particularly for very young families. The area is well-known for its charming villages and rolling hills and valleys. The commons are covered in wild-flowers in early summer, birds including sky larks can be chanced upon amidst the long grass and the scenery and many good eateries give plenty of opportunity for manageable family walks with a rewarding finish. If you’re after more organised animal encounters then the extensive Cotswold Wildlife Park is also within easy reach. A short distance from the heart of the Cotswolds lies Slimbridge – a fantastic oasis for bird-life. Visits at any time of year are fantastic for families as there is always plenty to see and do. Winter visits are particularly rewarding. You will be able to experience the massive influx of winter wildfowl that visit the wetlands every year, including the popular flood-lit feeds . If you hang about afterwards there is also the chance to see one of the UK’s most impressive natural spectacles. As dusk falls thousands of starlings group together in the winter skies before plunging down into the reed beds below to roost for the night. The show they put on before heading for bed is a fantastic experience for all ages and a must-see for UK families and visitors alike. 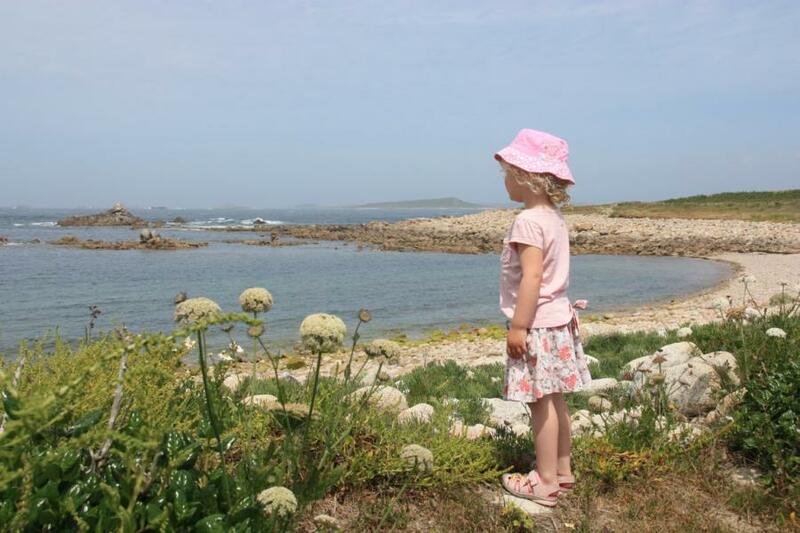 If you are after a natural paradise for little children then a visit to the magical Isles of Scilly off the Cornish coastline should be top of your list. Endless child-friendly beaches, a different island every day to explore, gentle walks and glorious scenery make it fantastic family exploring. The islands are all fairly little (some you can walk round in a few hours) and the islands have little traffic and a reputation for safety meaning cycling with tiny tots is a breeze and older kids can run wild. The wildlife is equally enchanting. From snorkelling with seals, glass bottomed boat trips, puffins and fantastic birdlife, this is a wonderful place to interact with nature in a relaxed way. Little children will enjoy spotting the unusual glossy black rabbits running free on the coastal paths of St. Mary’s and the thrushes, so rare elsewhere in the UK, who are so bold here that they will probably attempt to join you for an al fresco lunch at least once! For us the highlight was seeing the red squirrels in the famous gardens on Tresco. They have been introduced here and are thriving. Unlike elsewhere in the UK where wriggly pre-schoolers wouldn’t stand a chance of catching sight of these normally shy little creatures, here they boldly approach the feeders in the gardens right under your nose! Magical.